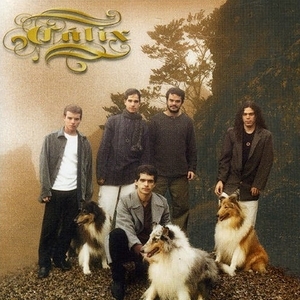 Very good Brazilian Progressive/Folk Rock group from Minas Gerais, formed in 1996 with gifted flutist/singer Renato Savassi as the main figure, featuring also Sanzio Brandao on guitars, Marcelo Cioglia on bass/vocals, Andre Godoy on drums and Rufino Silverio on keyboards.After a single released in 1998 the local fame of the group started to grow, leading to the full-length album ''Cancoes de Beurin'' a couple of years later, captured at Polifonia Studios in Belo Horizonte between October 1999 and January 2000, released privately by the group. This is definitely some well-arranged Folk/Symphonic Rock with rich, lush arrangements, centered around the beautiful flute work of Savassi, surrounded by a great group of musicians, who create a majestic and energetic sound.BACAMARTE and PREMIATA FORNERIA MARCONI are the closest comparisons I can think of, as the album illustrates images from Brazilian Folk with a few Western, JETHRO TULL-esque moves with 70's-styled Symphonic Rock, based on Silverio's tremendous keyboard passages with lots of organ, synths and piano textures.The tracks are full of smooth, professional interplays between flutes and keyboards, some incredible folky melodies and plenty of sensitive vocal lines, mostly sung in Portuguese.However Calix were clever enough to throw in a couple of groovy rockers with English lyrics and non-accented vocals, closer to US and European bands with heavier guitar parts and powerful organ next to the endless flute interventions of Savassi. ''Cancoes de Beurin'' keeps a great balance from the start to the very end, no instrument is buried in the mix and there are tons of electrified moments next to the more acoustic parts, while elements from Jazz and Blues can also be found in the most pleasant tunes of an album, that can be both romantic and musically intricate at the same time. File along compatriots POCOS E NUVENS.Nice, elaborate Progressive Rock with Folk and Classical interludes and some lovely flute exercises.Strongly recommended to all fans of intricate and sophisticated music...3.5 stars.